The Global Parliament of Mayors is a governance body of, by and for mayors from all continents. It builds on the experience, expertise and leadership of mayors in tackling local challenges resulting from global problems. At the same time, it brings local knowledge to the table and thus participates actively in global strategy debates and underscores the need for practical, action oriented solutions. Living Room Conversations are a simple way that anyone with an open mind can engage with their friends in a friendly yet meaningful conversation about topics we care about. These conversations increase understanding, reveal common ground and allow us to discuss possible solutions. No fancy event or skilled facilitator is needed. When people of all walks of life begin to care about one another, they can begin working together to solve the wicked problems of our time. Joan Blades co-founded Living Room Conversations to provide a guide for meaningful conversations between people with different views. She is a cofounder of MoveOn.org, Moms Rising.org and she has teamed up with Republican John Gable on an initiative called AllSides for Schools to bring civilized conversation about controversial topics to the classroom. This entry was posted in 2 Interdependence and tagged global, consciousness, interdependence by trendswe. Bookmark the permalink. 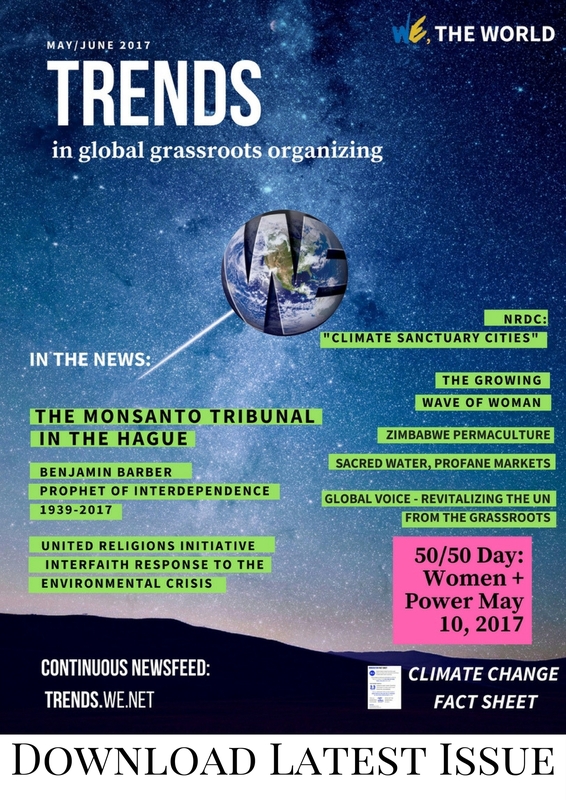 Copyright © 2019 Trends in Global Grassroots Organizing Newsfeed. All Rights Reserved.